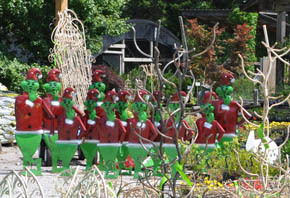 Come see our large selection of concrete statues, birdbaths and benches. Iron planters and trellises are available. 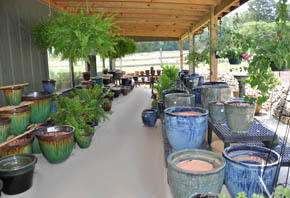 We have everything you need to beautify your garden. 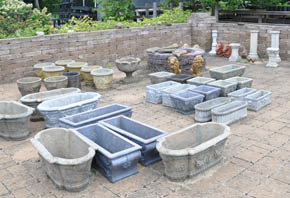 Colorful baskets, clay pots and wrought iron makes a unique statement in any garden. Wrought iron arbors and trellises provide great support for flowers and vines, they add structure and style to the garden. They bring back the romantic gardens of the past and many gardens are beautified by these graceful designs.